Bali River Rafting Combination 2 Package is the combination of white river rafting with visiting Tegallalang Rice Terrace and Kemenuh Butterfly Park around Ubud area. Bali River Rafting At Ayung is taking place around Ubud area with professional instructor and equipment to explore the water stream. The intention of the activity is to enjoy the natural environment and fill up your holiday with adventurous activity. Fresh river water is flowing hard and it will make the day fun. The location of Ayung River is only 10 minutes from Ubud area. And you also visit Tegallalang Rice Terrace and Kemenuh Butterfly Park after the activity is finish. Bali river rafting combination 2 package itinerary starts with pick up from your hotel by our Bali tour driver. And you will NOT share with other guest in the vehicle. It will take around 1.5 – 2 hours driving from Kuta, Seminyak, or Nusa Dua area. When we reach the rafting company office, we need to do some registration for the insurance cover. After that we have to wear a proper equipment. 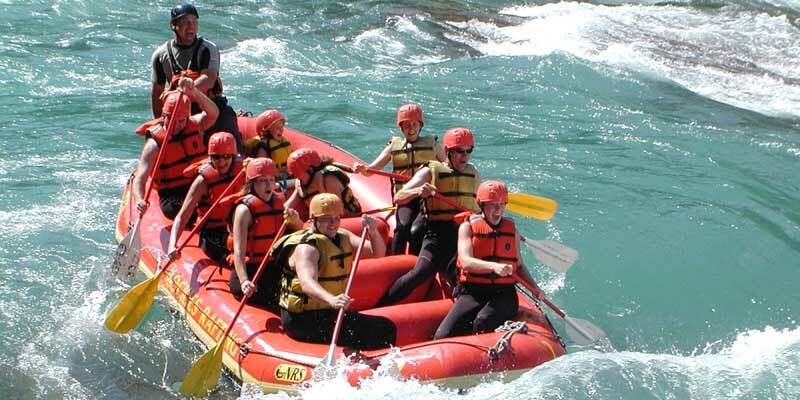 Such as life jacket, helmet, and paddle provided by rafting company to make sure your safety during the activity. When you are ready, you will be depart with the group of rafting to the start point. Before start to do the rafting, the instructor will give a short technical instruction for the activity. Now it is time for the river exploration! After finish the activity we will heading back to the company office and changing your wet clothes. Buffet lunch was ready waiting for you after finish the activity and it is time for lunch time. Having coffee break will be the next itinerary to do. Tasting local Balinese spices especially the famous Luwak Coffee will refresh us before continue to explore other interesting sites nearby. We also will have some explanation and introduction of the local plantation at the farm. After that we are going to visit Tegallalang Rice Terrace. 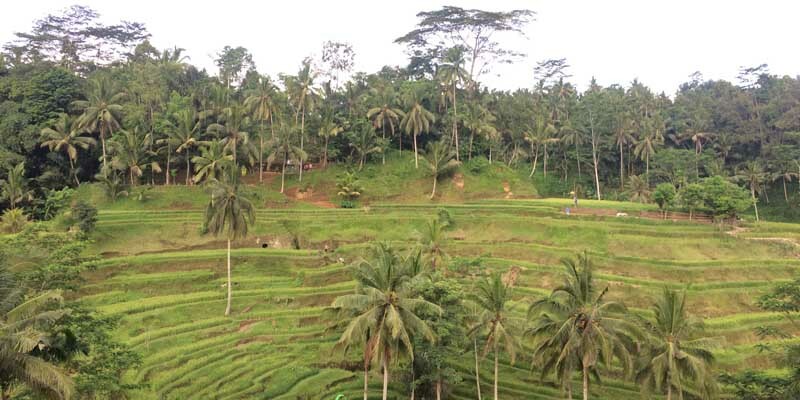 We will have a look at its unique rice farming landscape system called “SUBAK” in Bali. Afterwards, we are going to visit Kemenuh Butterfly Park with numerous beautiful Butterflies flying around us. After all finish we are going back to your Hotel. You can find coffee plantation all over Bali. 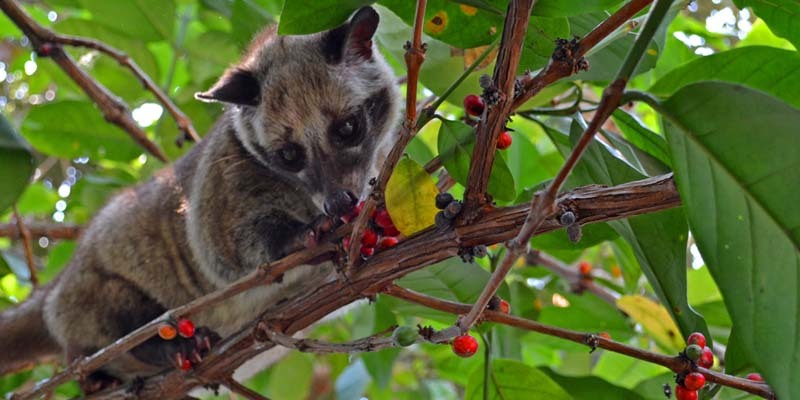 They will give a short farm tour about our local plantation, spices products, especially famous Luwak Coffee. Luwak Coffee produced from coffee beans found inside Luwak’s poop. It is because the Luwak animal has a great sense of choosing coffee bean. And also will only eat the best quality ones. The process inside the Luwak stomach won’t damage the coffee bean but reducing the level of caffeine in the coffee. The process also change the taste of coffee produced later on. Other than Luwak coffee, you might also tasting other local spices. Such as lemongrass tea, ginger tea, mangosteen tea, Robusta coffee, Arabica coffee, and etc. Tegallalang Rice Terrace is one of rice terraces in Bali that famous with name “Subak”. The irrigation system for the rice terrace used in Tegallalang is an old system. But it is very useful and effective for rice farming on the mountainous area. Due to mountainous landscape with very small flat land area, so the people invented Subak irrigation system. The system flattened a bit of the mountain side each level and shaped them like stairs or terrace. The water system flowing from the top rice farm and continuously going down to the next level below. This irrigation system allows the local farmer to produce rice which is our main food in Indonesia. Kemenuh Butterfly Park is located at Kemenuh Village, Ubud. 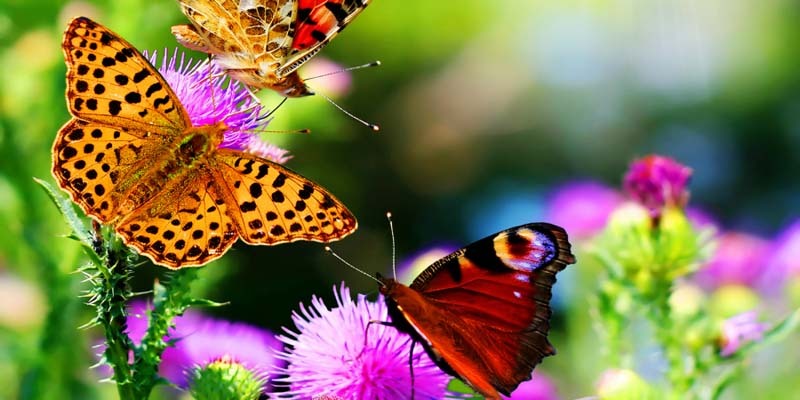 The park is one kind of zoo which focus in Butterfly conservation. You may find varieties of butterflies inside. And you might also see the process of its transformation from the first shape of worm. Then it become a cocoon and finally made up into a beautiful Butterfly. Batik making at Tohpati Village is popular as the best Batik production is the island. Names of Batik comes from word “tik” that means “dot” or “spot” on the fabric. We call it Batik because of the making process is putting some dots on the fabric to make a certain design. The process of handmade Batik is quite long to finish. First of all, they start with making the design layout using a pencil on the fabric. Then put wax on the design and left only some area that will have color. After the first coloring done and dried completely, they will remove the wax by wash it with hot water. To do the second coloring, the will cover the parts that has color with wax. And also the area that will not having the second color. The will repeat the steps over and over depends on how many color they are using for each product. Due to its uniqueness and complicated steps, UNESCO awards Batik as “Masterpiece of the Oral and Intangible Heritage of Humanity” on October 2009. Celuk Village is the center of Silver and Gold Jewelry production in Bali. Most of the jewelry made in Bali was coming from this village. Local villagers here mostly become Silversmith and Goldsmith and they have been doing this business for centuries. As the main business of the village, you may see jewelry galleries and workshop along the way. And the interesting part is they allow the tourist to watch the local silversmith and goldsmith making their products in the workshop. Balinese Paintings has its own uniqueness compared with other styles of painting in the world. Most of the traditional Balinese paintings are taking background of legendary stories of Hindu. Because Hindu is the main local people’s religion in Bali, our daily traditional ritual, and daily activities of local. A fine art painting will have their own certificate of originality from its painter. And only painter with skillful and well famous popularity can publish the certificate of originality. 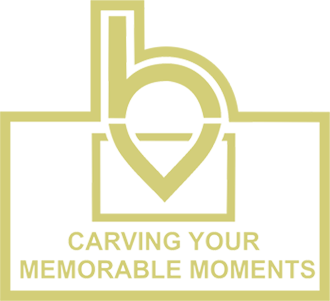 Wood Carving is the type of arts that combined with things which has important use in our daily life. Local people love to have traditional house, wooden home furniture, and building of the temple. Even the royal family palace here will having traditional carving style and we are very proud of it. No place better than Mas Village to find out the way of the wood carver crafting their masterpiece.